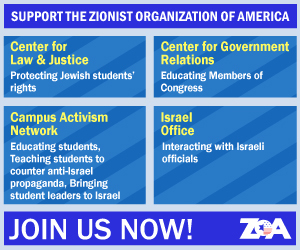 Friends of Israel Around the U.S. The director of the FBI, Robert Mueller a recent Bush appointee is scheduled to speak on June 28, 2002, at the annual convention of the American Muslim Council, which has openly praised Arab terrorist groups such as Hamas and Hezbollah. * No public official should meet with, and thereby grant legitimacy to, any organization that has expressed sympathy for groups on the U.S. governments own list of terrorist groups. Please reconsider your plan to speak at the AMC convention. * You cant fight terrorism by legitimizing groups that praise terrorists. * Organizations that praise terrorists should be isolated, marginalized, and condemned. * In this environment of ongoing international terrorism, publicly praising Hamas or Hezbollah is like shouting fire in a crowded theater. * Both Hezbollah and Hamas are on the official U.S. list of terrorist organizations. Hezbollah was responsible for the 1983 attack in Lebanon that killed 270 U.S. Marines, and many other attacks. Hamas has murdered over 300 Israelis since the signing of the 1993 Oslo accords, including many of the 29 Americans who have been murdered in Israel since 1993. * George W. Bush himself returned a $1,000 donation to his 2000 presidential campaign from the American Muslim Council because of the Councils extremist positions, and Hillary Clinton returned a $1,000 donation from the AMC to her Senatorial campaign.